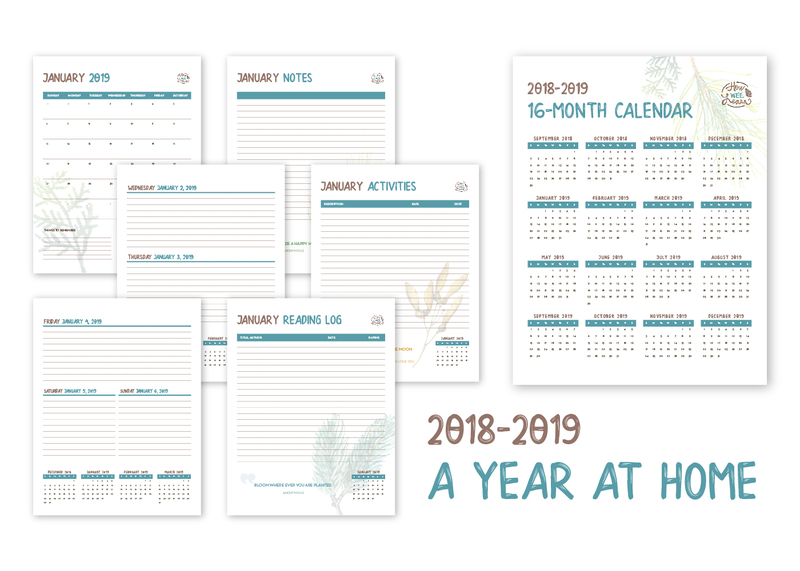 A Year at Home is a 16 month printable planner which has yearly, monthly, and daily pages to encourage you to build an incredible year at home. Even with the very best intentions I would often not accomplish the wonderful things I had planned to do with my little ones. I would head to bed thinking, "what on earth did we actually do today?!" Days would turn to weeks which would turn to a month with my plan for reading that sweet fairy tale, or doing that great letter activity falling by the wayside. I know that my little ones will only be little for so long. I want to make sure that I do everything I truly want to do with them! I want it to be simple, relaxing, and calming. I realised I needed an awesome planner. I wanted to easily pop into place the activities I wanted to do with my children. I wanted to plan when we would do that great wood walk adventure. I wanted to see when we would be reading my favourite fairy tales. I wanted to be inspired daily with inspirational quotes to remind me of my focus. I made a plan to make each day count. Including days to snuggle and rest, days for quiet and nothingness. I created a beautiful year at home. I am so excited to be able to share this planner with you. It is so simple and will help you ensure your days are blissful and peaceful and good to the last drop. It is another tool to ensure a home goes from chaotic to calm. 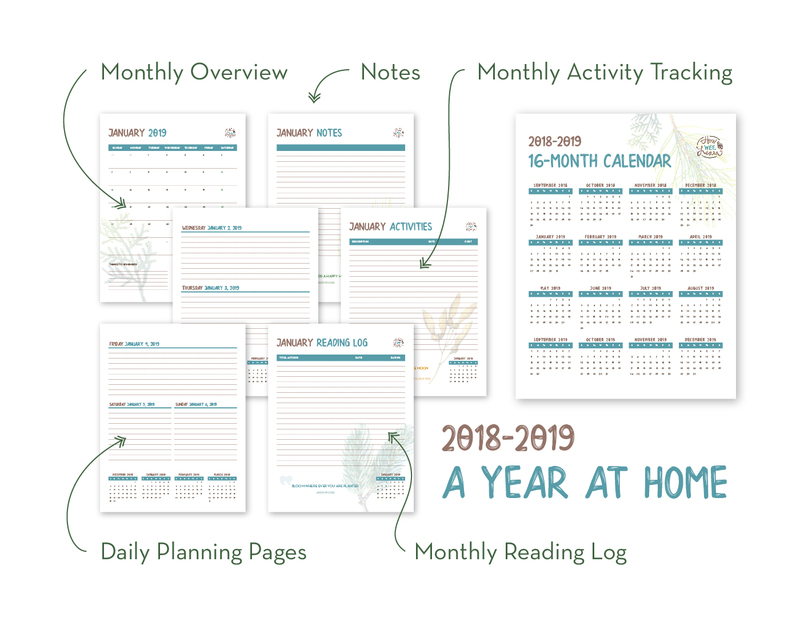 If you are a Mom with little ones or a homeschooling Mom or BOTH, this Year at Home Planner will be your sanity superhero. I See My Future And I Have This Planner! Get it now for $9! 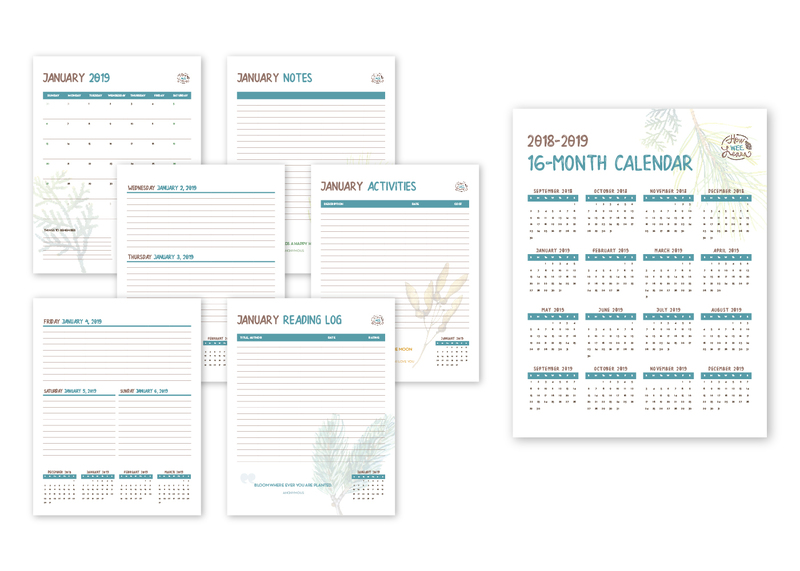 A Year at Home is a printable planner. I suggest printing it double sided and putting it in a (pretty) binder. You can also have it spiral bound at most office supply stores for a few dollars.